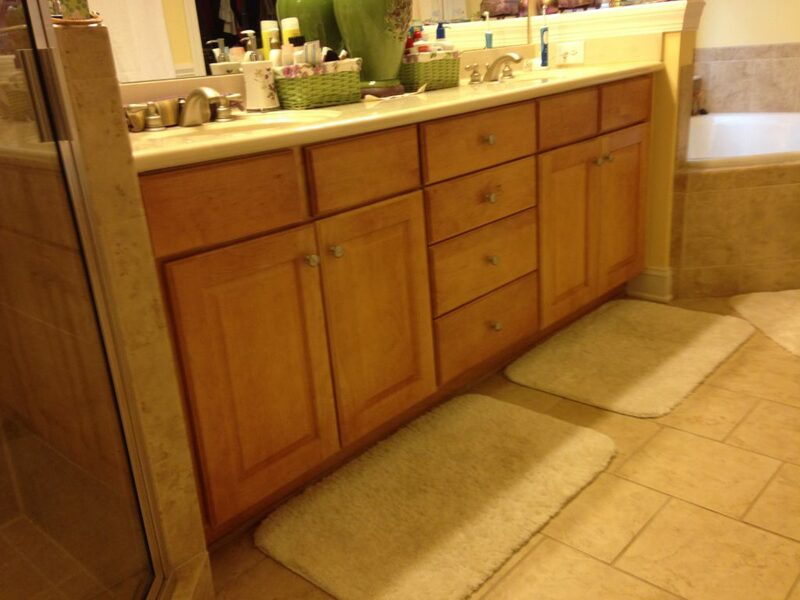 The orange tones of this maple bathroom vanity were doing nothing for the neutral floor tiles. 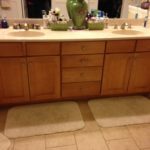 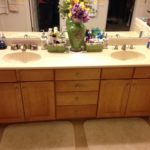 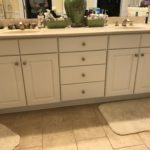 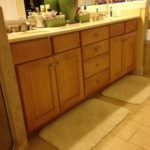 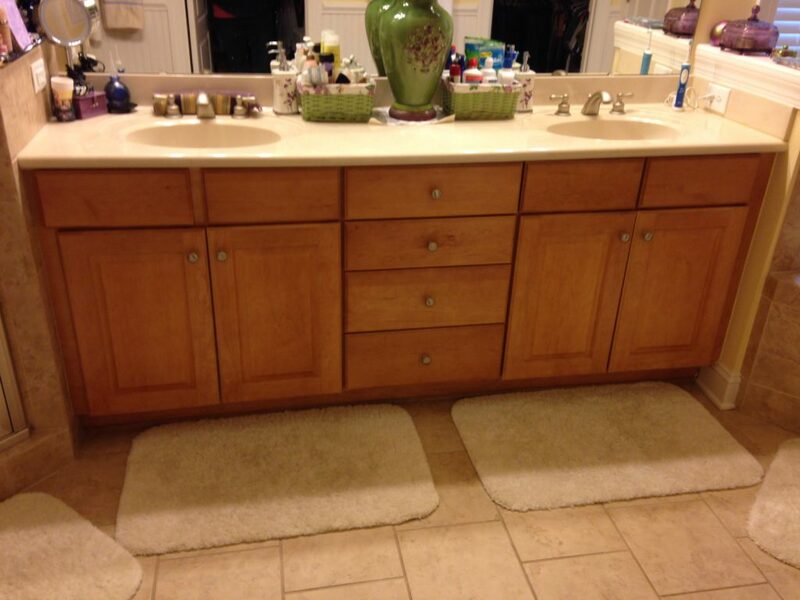 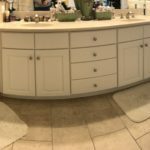 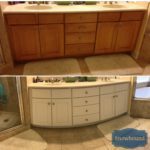 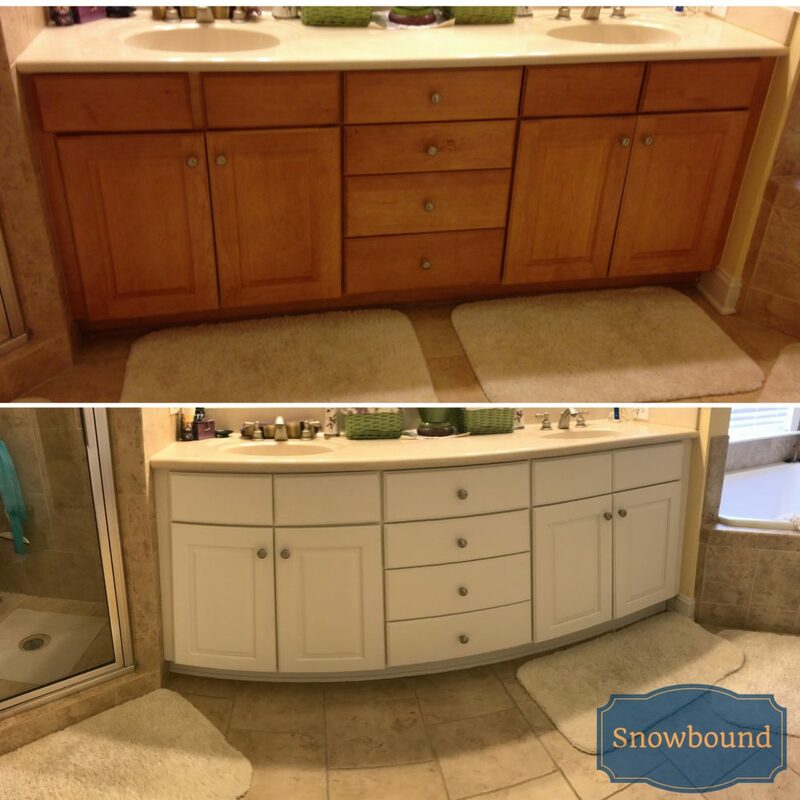 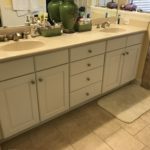 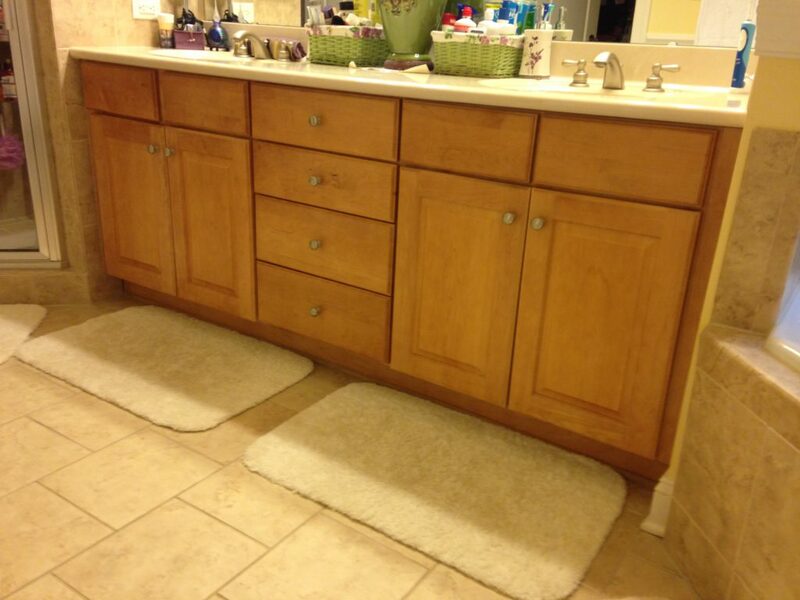 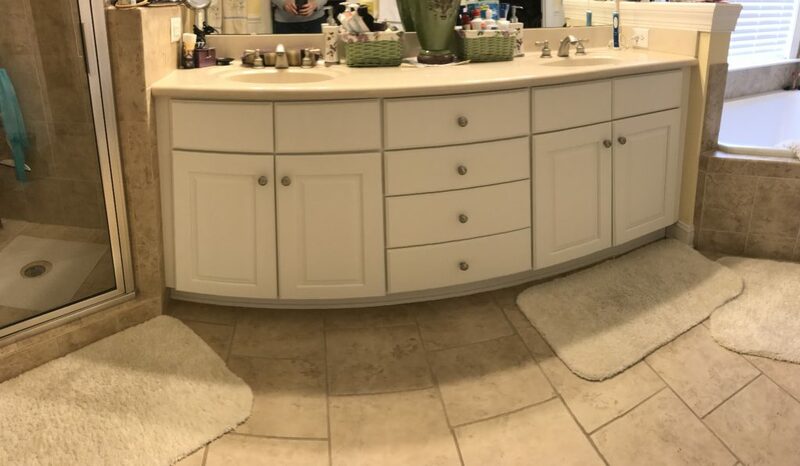 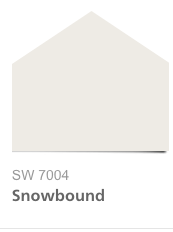 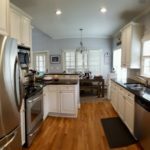 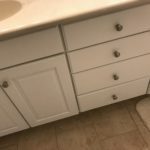 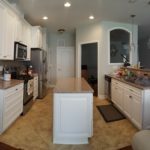 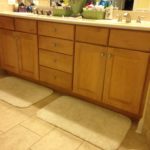 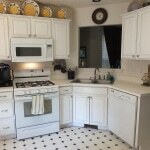 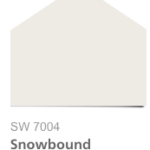 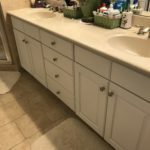 Changing the vanity to Snowbound, a super soft white, helps the tile flooring stand out so much more than it did before. 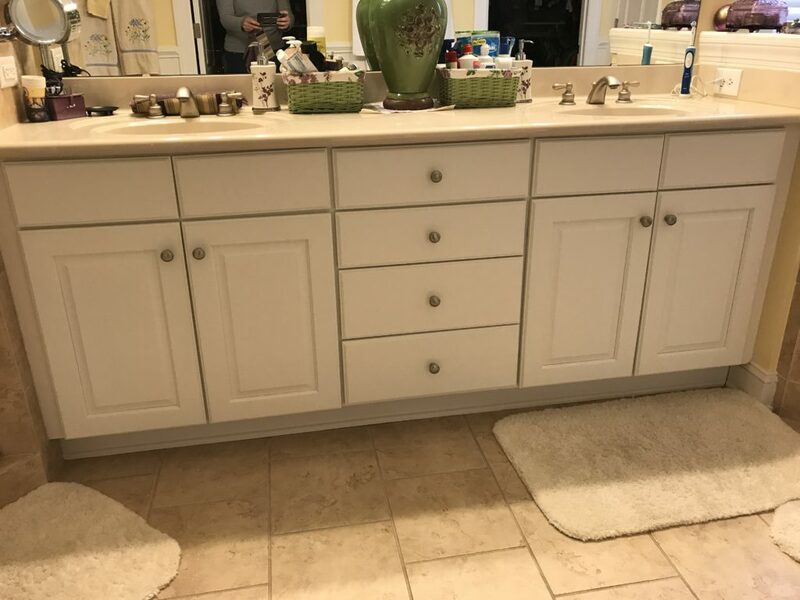 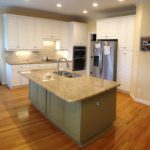 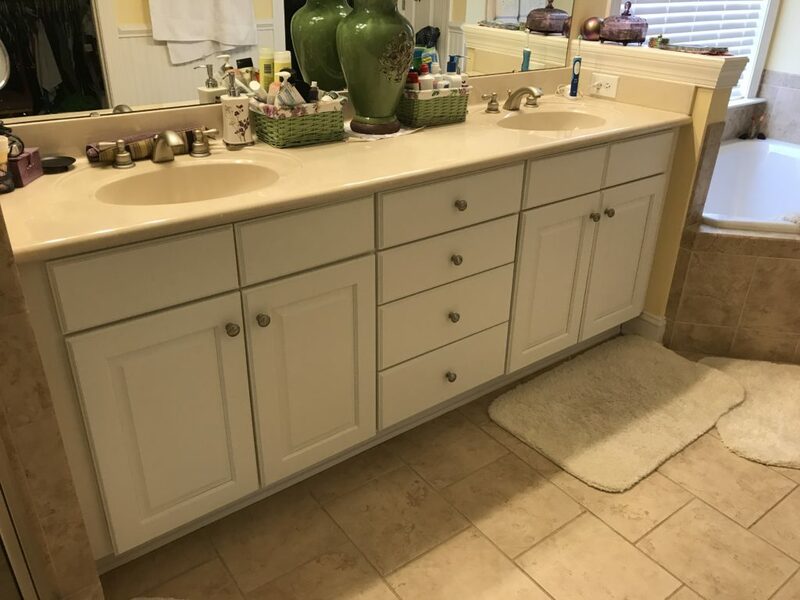 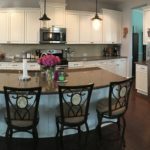 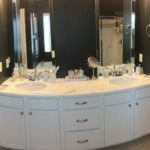 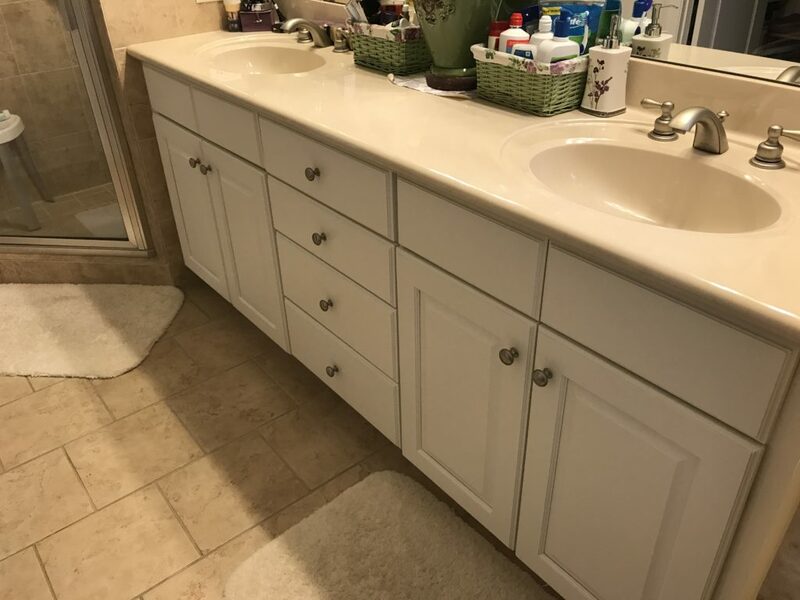 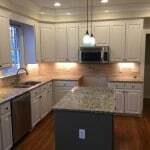 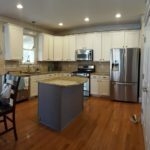 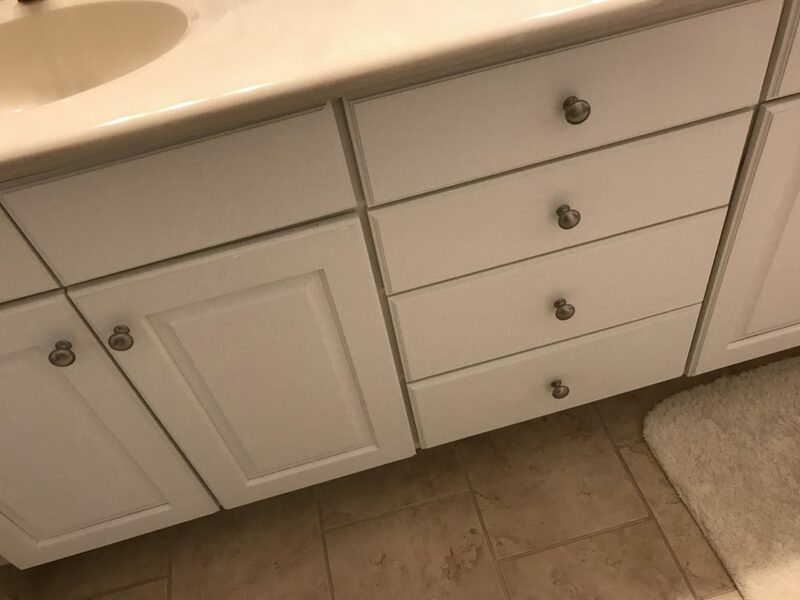 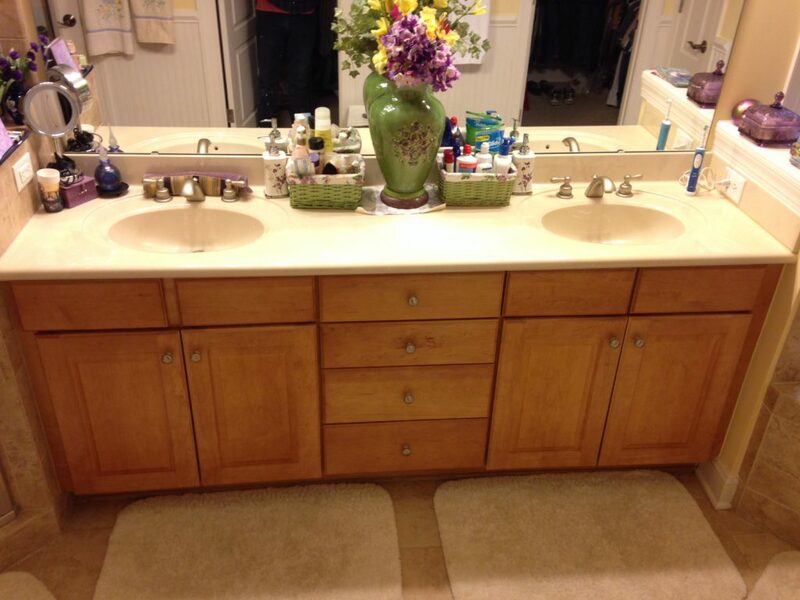 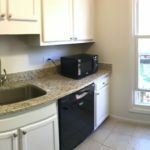 Now the homeowner can use any color they like as a pop of color, without having to worry about clashing with the vanity.